When the time comes to search for used cars in Harrisburg PA, there is only one place to go. That your local used car dealer near me of Bob Ruth Ford. The Ford dealer near me of Bob Ruth Ford has an incredible selection of used cars for sale in PA. Whether it is used cars in Harrisburg PA or certified pre-owned cars, we have what you need. Our new and used car dealers near Harrisburg PA has everything from used economy cars to used luxury cars in Harrisburg PA. We understand when it comes to finding a used car at Harrisburg PA used car dealers that check every box off of your wish list can be hard to find. That is not the case when you come to Bob Ruth Ford. We have a knowledgeable sales team who are happy to answer all questions you may have to find the right car to meet your needs. At the Harrisburg used car dealers of Bob Ruth Ford, we want you to drive away happy in your next vehicle. Which is why we aim to do our best to get to know you first at our Ford dealer near you. That way we know just what it is you are looking for when it comes to finding used cars in Harrisburg PA.
Used cars for sale in PA can come with many features both inside and out. You will be wanting to claim one as your own. 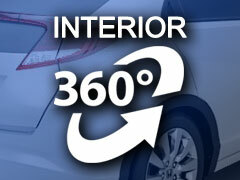 You can find used cars in Harrisburg PA with leather seats, Bluetooth, and many more items. You will also see the Harrisburg PA used car dealers of Bob Ruth Ford with used cars that feature a premium sound system and steering wheel controls. Steering wheel controls allow you to change the radio station, adjust volume, set cruise, and more. All of these incredible features can be found on the used 2012 Ford Taurus Limited. With Bob Ruth Ford, you will surely find that we have quite the variety when it comes to used Ford cars for sale near you in Harrisburg PA. Including popular models like the Ford Taurus for sale. This used Ford car for sale also features a built-in backup camera. The backup camera has color-coded grid lines that may help you into and out of even the smallest of parking spots. This used car for sale near you has many more safety features. Such as brake & engine actuated traction control, SOS Post-Crash Alert System, and more. Come to your local Ford dealer near you of Bob Ruth Ford and take this used Ford car out for a test drive down the streets of PA today. Let us show you how easy buying a used car can be at your local Ford dealer near you at Bob Ruth Ford. Stop in at Bob Ruth Ford today. Come to Bob Ruth Ford at 700 North US Route 15 Dillsburg, PA 17019. Or, give us a call to schedule a test drive at 877-818-1593 today.